It’s the book C. S. Lewis never wrote but wanted to: a guide for new believers to learn how to pray. But it was never to be, at least not in his lifetime. But don’t let Lewis’s candor fool you. A book on prayer became a pervasive theme for the rest of his life. In the winter of 1953, in a letter to an Italian priest, penned in Latin (the only language the two shared in common), Lewis asked for prayer for a writing project he was struggling to complete. The topic of the book was prayer. It seems Lewis was willing to give a cheeky effort at composing a book on prayer after all. “I invite your prayers about a work which I now have in hand,” Lewis wrote to the Italian priest. “I am trying to write a book about private prayers for the use of the laity, especially for those who have been recently converted to the Christian faith.” This letter gives the greatest detail in terms of what Lewis was hoping to accomplish in his book on prayer. That same year, Lewis and Martin Lloyd-Jones shared a conversation while traveling by boat from England to Ireland. Jones asked Lewis when he might write another book like Mere Christianity. “When I understand the meaning of prayer,” Lewis replied. Just a year after the trip, in a letter to another friend, Lewis says he’d finally given up hope on the prospect of writing the book altogether. My thought and talent (such as they are) now flow in different, though I trust not less Christian, channels, and I do not think I am at all likely to write more directly theological pieces. The last work of that work which I attempted had to be abandoned. If I am now good for anything it is for catching the reader unawares—thro’ fiction and symbol. I have done what I could in the way of frontal attacks, but now I feel quite sure those days are over. HarperOne (2018). 176 pp. $22.99. Cultivated from his many essays, articles, and letters, as well as his classic works, How to Pray provides practical wisdom and instruction to help readers nurture their spiritual beliefs and embrace prayer in all its forms. While many people would like to speak to God, they often don’t know how to begin. Lewis guides them through the practice, illuminating the significance of prayer and why it is central to faith. Lewis’s reference to Henry about the “last work” that had to be abandoned was, of course, the book on prayer. It had become a mental roadblock to Lewis’s writing of direct theology and apologetics. But Providence has a way of closing one door to open another. If Lewis was no longer writing books like Mere Christianity, it could mean only one thing: Aslan was on the move. The Narnia stories were born out of this season of “writer’s block.” Most authors would give anything for a similarly productive season of stalemate. While there were indeed other converging influences in Lewis’s move to share the Christian story primarily through fiction and symbol, the book on prayer is certainly the most pronounced. But Lewis never fully gave up on the project. Nevertheless, Lewis’s goal—a simple, direct primer for prayer—has finally come to pass in the posthumous publication of the book How to Pray: Reflections and Essays (HarperOne, 2018). How to Pray is a collection of reflections and essays pieced together from Lewis’s publications, including lesser-known writings and personal correspondence. This is a valuable resource for anyone wishing to see an organized account of Lewis’s thoughts on prayer. 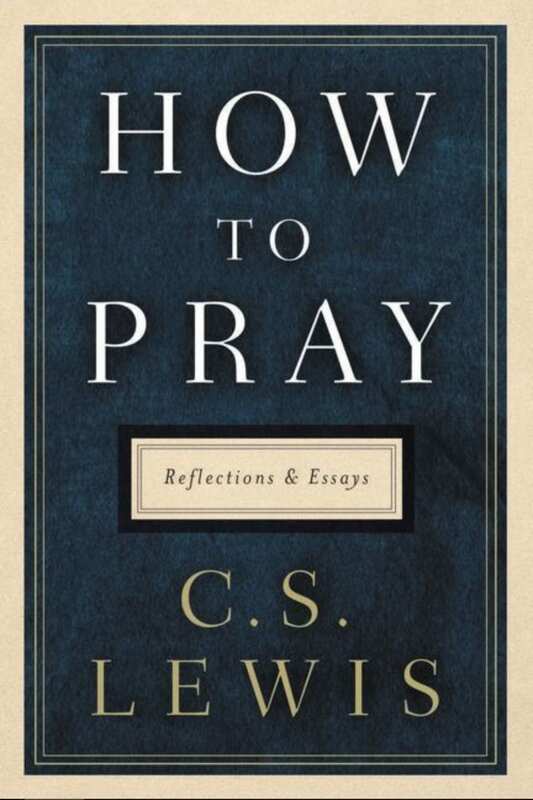 As the preface states, “Lewis spent a lot of time practicing, thinking about, and writing about prayer.” This short book captures those thoughts and reflections from across his literary corpus, organized around chapters that begin with a basic question about prayer followed by pertinent content from Lewis. Lewis, I’m sure, couldn’t be less concerned about what we’re doing here on earth with the words he left behind. He is now in the presence of the One with whom he regularly conversed throughout his Christian life. Still, we have much to learn from a life so well lived, not least of which are his thoughts on prayer.